Call me today for a Reiki session, or if you have any questions about Reiki.What Is Reiki? “Reiki” is a Japanese word meaning “universal life energy,” and refers to the energy found in all things. In the Usui Shiki Ryoh system of Reiki we apply this energy through touch for the purpose of creating the connection with Reiki, the universal life energy. When connected with Reiki in a conscious way, an individual has the possibility of healing, awakening, and enlivening through this practice. What Is Reiki Supposed To Do? A Reiki treatment supports the whole person — physically, emotionally, mentally and spiritually. 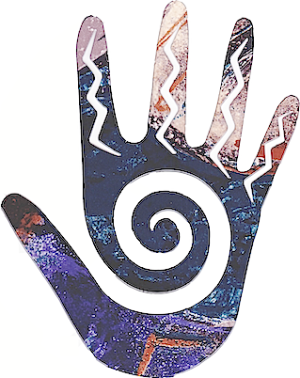 When a Reiki practitioner places his/her hands on an area of their own or another person's clothed body, Reiki flows through the practitioner into the person receiving the treatment. This flow may be felt as any type of sensation—heat, cold, vibration, tingling, unusual heaviness, or sometimes as no physical sensation at all. A full Reiki treatment takes about 60 to 90 minutes. Where Does the Usui System of Reiki Healing Come From? Usui Shiki Ryoho (the Usui System of Natural Healing or Reiki Healing) is named after its founder, Dr. Mikao Usui. Relying on an oral history, the story of Dr. Usui's journey is one filled with the desire to seek the answer to a burning question of "How did Jesus heal?" His dedication to his search and his individual gifts allowed him to receive the gift of Reiki. After receiving the gift of connection with Reiki energy, he spent the rest of his life developing the system of practice allowing this gift of connection to be passed on to others. The immense gift of this method of passing on the connection has survived many generations and has remained viable throughout the cultures of the world. Chujiro Hayashi continued his studentship of Usui Shiki Ryoho by opening a clinic. His clinic allowed him to observe the effects of the treatment on many people with many different ailments. Mrs. Hawayo Takata of Hawaii recovered from her serious ailments at Hayashi’s Reiki clinic and became his first student who did not live in Japan. She practiced and taught throughout the US and Canada from 1937 to her death in 1980. Her legacy of treatment throughout these years and her dedicated living within the Reiki practice gave all of her students the benefit of Mikao Usui's gift. Her granddaughter, Phyllis Lei Furumoto, now carries on her work. Usui Shiki Ryoho is taught through an oral tradition of teaching, sharing information, and exchanging treatments. This practice is not something that can be learned by reading a book—it is something to experience by receiving a treatment, taking a class, talking with Reiki practitioners, students, and masters who practice this form. MUsui Shiki Ryoho is taught by Masters who are trained in the traditions of Reiki as passed on through the spiritual lineage, and whose personal and professional lives are committed to this healing art and the lifestyle it engenders. This is a gift of a lifetime and students have the possibility of opening their lives to Reiki. All those who practice Reiki through Usui Shiki Ryoho are life-long students. A First Degree class is taught in four, three-hour sessions. Within the class, a student receives the initiations, listens to the history of Reiki, learns the basic hand positions for self-treatment and the treatment of others, and begins to discover ways to use Reiki in their daily lives. A Second Degree class is given to students who have felt the calling to go further into the practice. This comes with a year or more of practice after the First Degree class. Call me today for a Reiki session, or if you have any questions about Reiki.